It is always exciting to experience the “firsts” in our marriage! There seem to be a whole lot since we are in the advent season and are approaching Christmas. 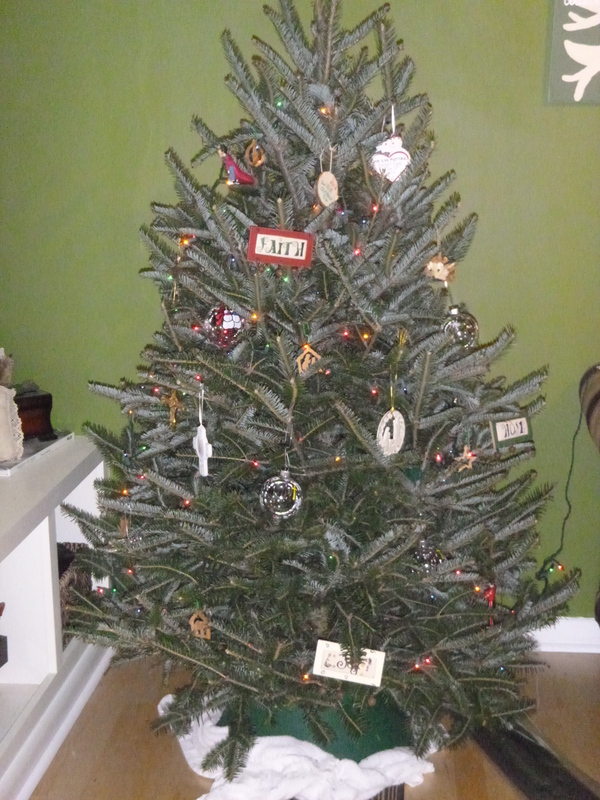 We ventured out to the Home Depot last weekend and bought our first Christmas tree! We had a blast picking out our tree and sharing Christmas memories. Picking out a Christmas tree was always a big ordeal for my family growing up. We would look at dozens of trees until we found the right one. Once we brought it home, my mom meticulously placed lights on practically every branch. After the many hours it took her to put the lights on, we were able to put on the ornaments. We had to make sure each spot was filled with a glittering globe or heralding angel, old-fashioned airplane or handmade wonder. Once we were all finished, the angel was placed on top. Every year we alternated who would be lifted up by Dad to put the angel in her place. It was always a big deal. It’s funny to see how certain traditions have kept up through the years. The Christmas traditions seem to stand first in line in importance. Spencer and I get excited starting our own traditions, adding on to ones we grew up with and beginning our own. 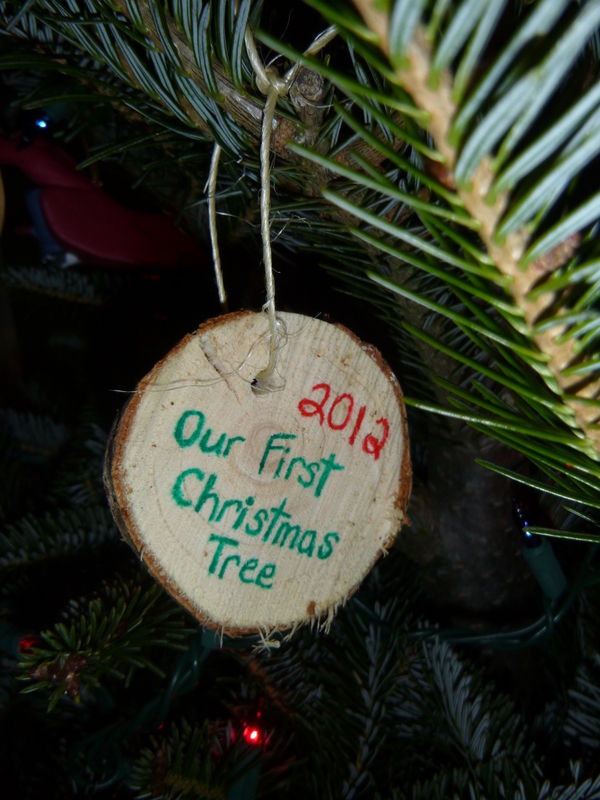 We wanted to make something to remember it by when we put our ornaments up on the tree each year. So when they cut the tree at the store, we had them cut a small bit off the bottom so we could turn it into an ornament. It’s simple. But it’s special. Much like our Christmas tree. It is simple. Just 5 feet tall. It is eclectic with a wide variety of ornaments ranging from olive wood ones I got in Israel to Harry Potter to crosses my mom gave me over the years to “our first Christmas” ornaments we’ve received as gifts to a hedgehog. And we don’t have a tree topper or tree skirt (hopefully I’ll be able to make those at some point). We are using colored lights because we hung out clear lights out on our back patio. But it is our first tree and we love it! It smells lovely and it makes us smile!